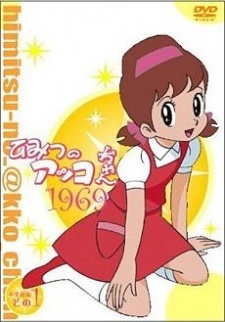 Atsuko "Akko-chan" Kagami (known variously as "Stilly," "Caroline," or "Julie" in Western versions of the anime) is an energetic elementary school girl who has an affinity for mirrors. One day, her favorite mirror which was given to Akko by her mother (or in some versions, by her father, as a present from India) is broken, and she prefers to bury it in her yard rather than throw it to the trash can. In her dreams, she is contacted by a spirit (or in some cases the Queen of the Mirror Kingdom) who is moved that the little girl would treat the mirror so respectfully and not simply throw it away. Akko-chan is then given the gift of a magical mirror and taught an enchantment that will allow her to transform into anything she wishes.